Cooling required capacity and connecting power will be varied depending on type of products. 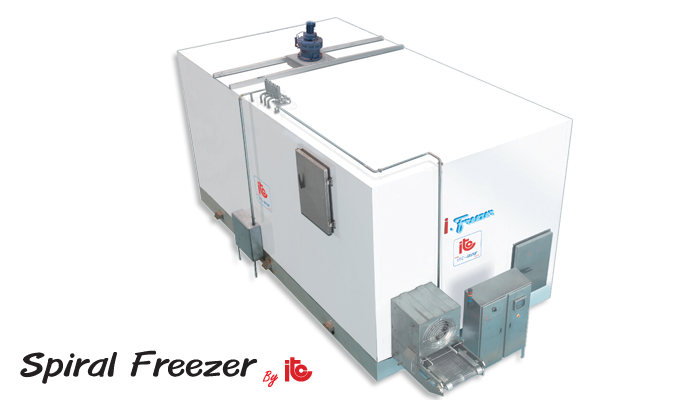 ITC’s Spiral Freezer, a host of many convenient features, evolves into a distinct and one of a kind industrial freezer built in a high freezing technology. 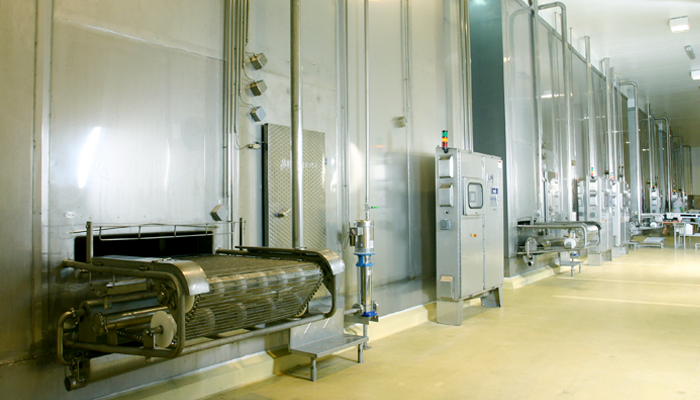 Throughout the years, ITC’s freezer uses a unique PLC Touch Screen Control System, which contributes a significant advancement in fast operation system. Also, the screen control is really easy to use since all data (e.g. temperature, pressure, and time) are visible on the screen. 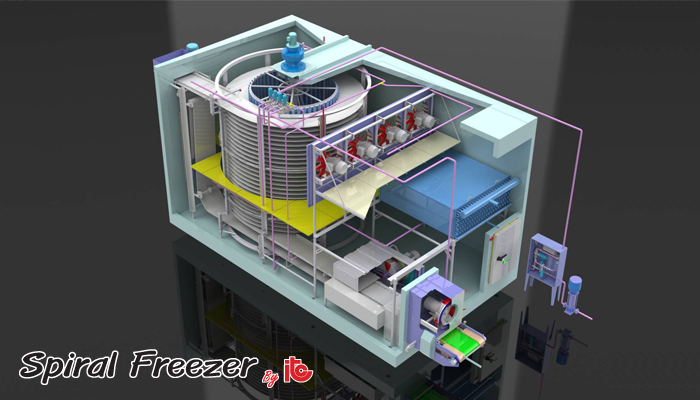 The Freezing capability of spiral freezer is extremely fascinating as it can swiftly pull the freezing temperature down to -40℃. This can assure the products are well preserved to maintain their quality and texture as well. Freezing process yields mix vertical and horizontal airflow resulting the products’ quality and texture to be well preserved. The machine has two distinct freezing methods. One is the pre-freeze crust coating and drying method held in front of the feeding pathway, while the other is final freeze coating method activating at lengthy spiral drum’s body. Moreover, recirculation type CIP system (optional) is an essential feature applied in spiral freezer because of its unique clean system. Since the conveyor relies on the type of products, the spiral conveyor belt is optionally available upon request. Also, the panel wall are available either stainless steel or color bond sheet type. erent in products’ weight loads. ciency, ITC’s Spiral Freezer undeniably has the edge over other competitors.